A formidable eight out of the world’s top ten ranked riders, including all of the top five, will head to the breath-taking destination of Miami Beach for the second leg in the 2017 Longines Global Champions Tour season. 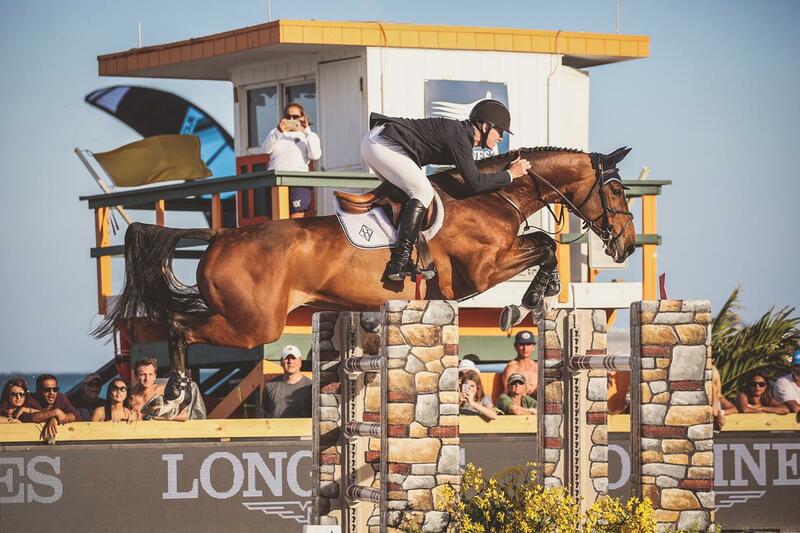 Home hero and World Number 1 McLain Ward (USA) will lead the star-studded field to the highly anticipated venue, alongside World Number 2 and fellow American Kent Farrington (USA) and World Number 3, Daniel Deusser (GER). In the Global Champions League, home team Miami Glory will be looking to make waves on the team Championship, after a strong result in Mexico see them rocket up the rankings to 4th place overall. Looking for a home advantage, the dynamic team will be hoping for a repeat of their podium position from 2016 and knock current leaders Valkenswaard United off the top spot. Current LGCT Ranking leader Martin Fuchs (SUI) will be hoping to keep his Championship dream alive, as he heads to Miami Beach fresh from his LGCT Grand Prix of Mexico City win. Olympic Gold Medallist, Scott Brash (GBR) will return to the venue where he wowed the crowd in a sensational Grand Prix win in 2015 with Hello Sanctos. Fresh from his CSI5* win in Mexico City with Hello M’Lady, the top British athlete will battle it out against the likes of Christian Ahlmann (GER), Eric Lamaze (CAN), Lorenzo de Luca (ITA), Simon Delestre (FRA) and Harrie Smolders (NED), all of whom proved they were in stunning shape with strong results during the first leg of the season. The Championship battle will take a dynamic turn, as riders move from the expansive grass arena of Mexico City to the smaller sand arena of Miami Beach, balancing all the challenges and advantages that may bring. With the sparkling Atlantic ocean just metres from the arena’s edge, the setting has become one of the most iconic in the sport, with riders, guests and fans flocking to the unique set up. With it’s vast array of cocktail bars, art houses and chic elegance, Miami Beach is one of the most iconic cities in the world – a fitting backdrop for a three day display of top calibre sport and entertainment. American fans will also have plenty of local talent to cheer for as Laura Kraut(USA), Lauren Hough (USA), Jessica Springsteen (USA), Jennifer Gates (USA), Jack Hardin Towell (USA), Audrey Coulter (USA), Kimberly Prince(USA), Lucy Davis (USA), Todd Minikus (USA) and Margie Goldstein-Engle(USA) all take to home turf hoping to impress in front of a home crowd. Entry to spectators is completely free, and fans will be able to enjoy a luxurious shopping village as well as top class sport, providing something for all the family. Last year saw a packed out grandstand with a fantastic passionate crowd cheering the riders as they battled it out for the prestigious top spot. With spectacular views, a unique set up and great support from the City of Miami Beach, the second leg of the Championship promises to be another exceptional stop on the 15-event series. Further key names such as Roger-Yves Bost (FRA), Darragh Kenny (IRL), Gregory Wathelet (BEL), Steve Guerdat (SUI), Kevin Staut (FRA), Nicola Philippaerts (BEL), Maikel van der Vleuten (NED), Jérôme Guery(BEL), Marco Kutscher (GER), Sheikh Ali Bin Khalid Al Thani (QAT) and Max Kühner (AUT) to name just a few, add to the star-studded line up, where it’s set to be another incredible event of top class sporting action as the world’s premier show jumping series heads to Miami Beach. Don’t forget to follow us on facebook for behind the scenes videos and updates as we get them! 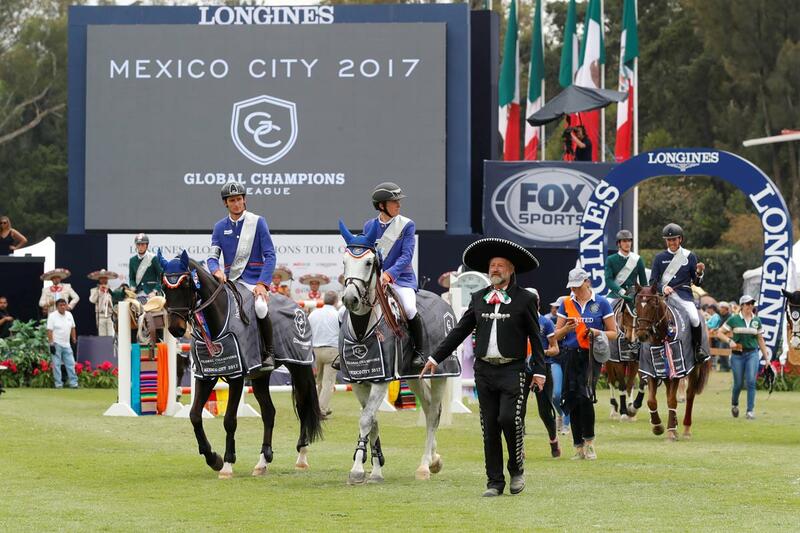 Reiging Champions Valkenswaard United powered to victory in the first leg of the Global Champions League after an electrifying second round which went down to the wire in Mexico City. Pressure was then heaped onto the shoulders of the penultimate combination, Jerome Guery (BEL) and Grand Cru van de Rozenberg, who had the chance to secure the win for the Pirates. Agonisingly, an exuberant performance from the 11-year-old chestnut gelding saw them collect eight faults, including knocking down the final fence, to put Valkenswaard United back in front. New Swans teammate and former LGCT Grand Prix of Mexico City winner Roger-Yves Bost (FRA) will be back in action with his heart set on a repeat of his 2016 success, which saw him fend off young guns Bertram Allen (IRL) and Jos Verlooy (BEL) to take a breath-taking gold in front of a packed-out audience at the Campo Marte. Also hungry to make their mark on the 2017 LGCT Ranking board and battle it out for the prestigious Mexico City win will be many of the world’s top riders, including the likes of Simon Delestre (FRA), Kevin Staut (FRA), Steve Guerdat (SUI), Eric Lamaze (CAN), Harrie Smolders (NED), Lorenzo de Luca (ITA), Gregory Wathelet (BEL), Nicola Philippaerts (BEL), Maikel van der Vleuten (NED) and Jerome Guery (BEL), all of whom will be looking to come out on top at the season opener. 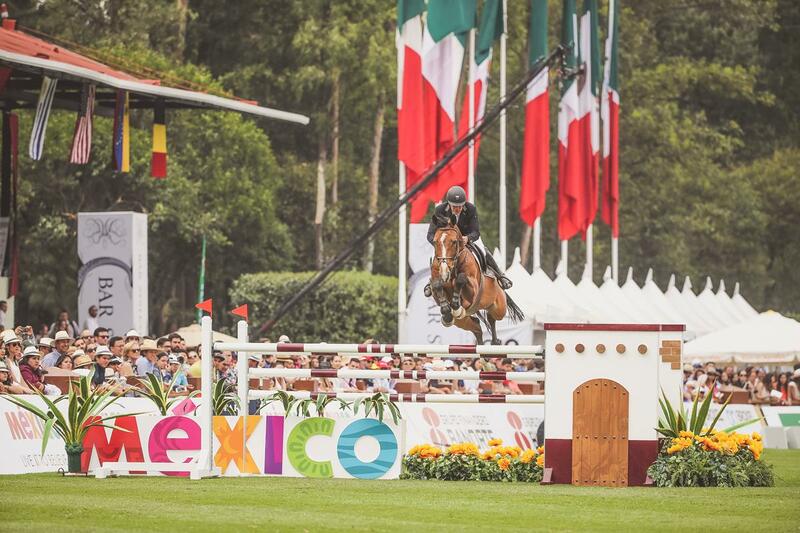 Connolly’s RED MILLS is once again the official feed sponsor for LGCT Mexico City, LGCT Miami Beach and LGCT Shanghai. This, the third year of the sponsorship since the inauguration of the LGCT in 2015, sees Connolly’s RED MILLS continue to provide a consistent, quality supply of performance horse feed at each leg of the Longines Global Champions Tour. Its global availability means that horses can stay on the same diet for the duration of the competition, with the support of the onsite RED MILLS Nutritional team. All Connolly’s RED MILLS feed is NOPS and UFAS assured and undergoes rigorous testing throughout the manufacturing process, with all testing taking place in the onsite state-of-the-art laboratory. The Precision Nutrition strategy, offers confidence to the rider that they feeding a fully balanced diet, perfectly tailored by expert nutritionists, to deliver the horse’s dietary needs. The exertion of elite competition, the strains of travel and the challenges of new environments means that some horses need that extra nutritional support. Connolly’s RED MILLS have confirmed that for the first time their partner company Foran Equine will be the official supplement sponsor for LGCT Mexico and LGCT Miami, working with the LGCT team to ensure all horses receive premium nutritional care while on tour. Foran Equine was established in 1974 and was taken over by Connolly’s RED MILLS in 2012 and has grown to become a market leader in equine healthcare products worldwide. Foran Equine now boasts a comprehensive range of over 60 supplement products. Each of the Foran Equine products is developed and formulated by an experienced multi- disciplinary team, which includes veterinary surgeons, chemists, veterinary nurses and equine nutritionists. All Foran Equine products are rigorously tested and refined to confirm efficacy and industry compliance and are manufacturer to GMP standard, using only the highest pharma grade ingredients, to meet the nutritional demands of the high performance horse. In addition, all Foran Equine products with the S.A.F.E. mark are free from prohibited substances and are safe for use in high performance competition animals. To find out more about Connolly’s RED MILLS and Foran Equine, visit our team at in the retail village at Mexico City and Miami Beach. Don’t forget to follow us on facebook for updates as we get them!